A photo of Iraq’s former vibrant Jewish community that appeared in the “Remember Baghdad” documentary. Credit: Remember Baghdad. When thinking of the words “refugee” and “Middle East,” many displaced groups come to mind. But few know that some of the original refugees of the region were a million Middle Eastern and North African Jews whose history often entails hangings, imprisonment and finding refuge in Israel. 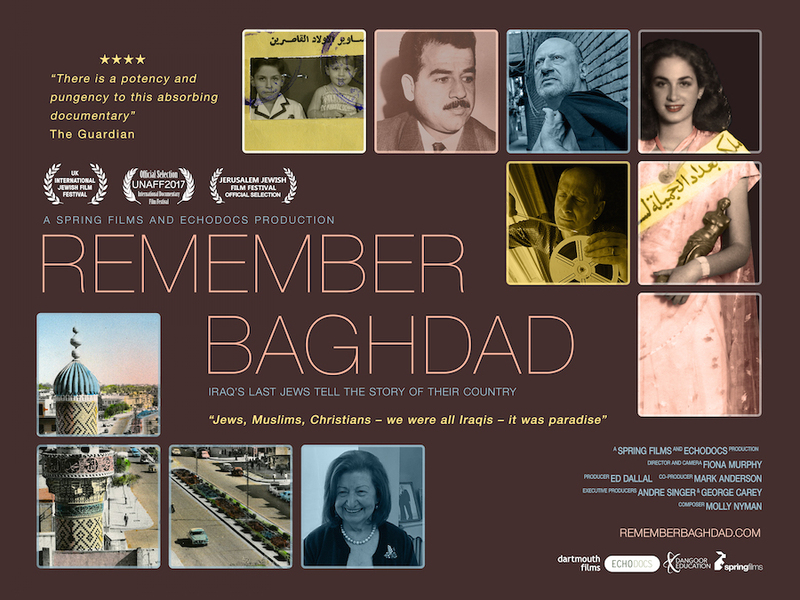 The critically acclaimed documentary “Remember Baghdad,” released this year upon the 100th anniversary of the British-Ottoman battle over that city during World War I, is the untold story of Iraqi Jews—filmed through their eyes. Their story is not always one of simply fleeing to arrive in the Jewish state. About half of Iraqi Jews fled to countries outside of Israel and still yearn for what once was. Many of them long to return to Iraq and have even applied for citizenship, voted in elections or purchased a home in Baghdad. Edwin Shuker prepares for a trip to Iraq in a scene from “Remember Baghdad.” Credit: Remember Baghdad. Shuker says Israel is the eternal physical and spiritual Jewish homeland, while the U.K. is “the country and people that gave me physical and financial security, the freedom we never had, a beautiful family, and the opportunity to rebuild my life after escaping Iraq.” Yet he believes that due to changing geopolitical conditions in the Arab world in recent years, Arab states like Iraq might be ready for a new relationship with Jews that includes business ties and tourism. “There is a big change in the mindset of the Arab street towards Jews…The gates are being breached in a big way,” he says. To this end, Shuker says Israel should initiate “a proper national debate within Iraqi Jewry and wider sects of Jewish refugees to review where we stand with countries [where we had lived].” Shuker has gone as far as buying a house in the northern Iraqi city of Erbil, and visits frequently. David Dangoor, one of the film’s other leading protagonists, fled Iraq for the U.K. 50 years ago and says that Iraq’s Jewish past is “like a distant bell ringing in the back of our heads, always reminding us where we came from.” He speaks of fond memories in Baghdad involving Jewish festivals, outdoor gatherings and other elements of a vibrant community. David Dangoor speaks in a scene from “Remember Baghdad.” Credit: Remember Baghdad. 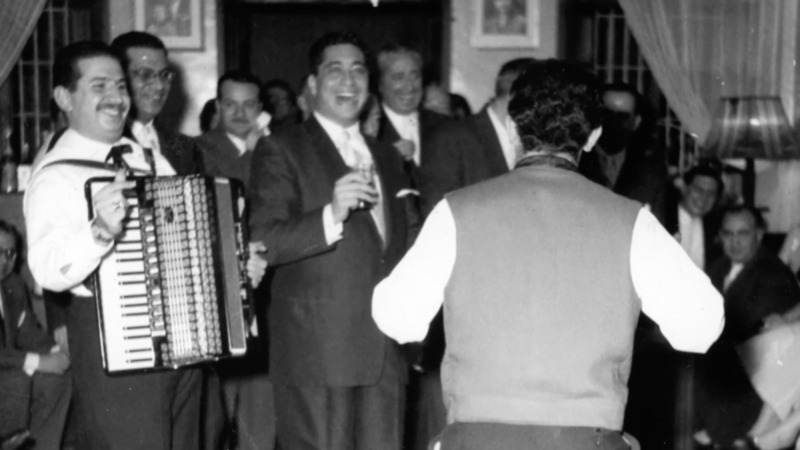 “Until the 1951 evacuation of the Iraqi community, Iraqi Jews would go abroad to make their fortune in Europe or America but would always come back to marry an Iraqi,” he recalls. Dangoor, who has not been back to Iraq since 1959, was hopeful for change following the U.S. invasion of Iraq in 2003, and even applied for Iraqi passports and voted in the subsequent elections with his father. “But unfortunately, things have regressed,” Dangoor tells JNS. But this change, he says, must be linked to recognition of Israel—and even if the Iraqi government embraces the Jewish state, Dangoor argues that the former vibrancy of Iraq’s Jewish community would still be a key missing element. 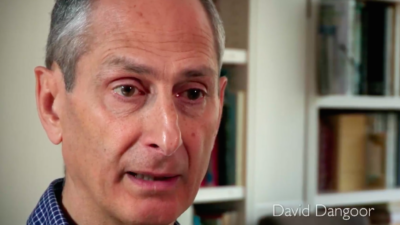 “The thing that was most precious about Iraq is now very much manifested in Israel,” he says. Supporting Israel is not just sentimental, but practical for Dangoor. Four years ago, he bought a house in Israel and has traveled there nine times this past year. His charitable foundation is a great contributor to Bar-Ilan University’s medical school, the Weizmann Institute of Science, and various educational and heritage-based projects in Israel.